City Hall will hold a memorial service next week a month to the day after the shooting of 50 worshipers at two mosques in New Zealand. Geelong Islamic Society secretary Yasir Ismat said the local Muslim community was still struggling in the aftermath of the attack Christchurch attacks on 15 March. “The Islamic community is still sad by (the) New Zealand tragedy. We feel for the victims, their family and friends and the whole country,” Mr Ismat said. “The Geelong Muslim community is very grateful to the Geelong council and Geelong Interfaith Network for organising the memorial service. Mr Ismat welcomed the wider Geelong community’s support for local Muslims after the shootings. “We are overwhelmed by the show of support from the local community, local, state and federal government politicians, and officials,” he said. “We thank everyone from the bottom of our heart, and we do not feel alone anymore. 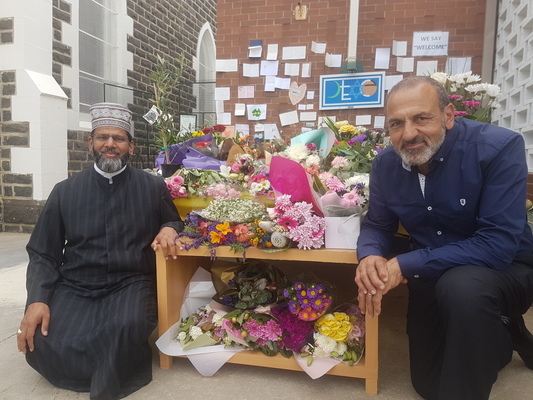 People from all ages and groups personally visited the mosque, brought flowers and left messages of support. Mr Ismat said the Muslim community was slowly moving forward. “We do not wish this to happen to anyone regardless of religious/cultural background. We stand together to stamp out extremism and violence from our society. The memorial will begin at City Hall forecourt, Johnstone Park, 6pm on Monday.